If you're looking to add an air of sophistication to your home, this is the trifecta. Like Ron Burgandy, you can boast that your apartment has many leather-bound books and smells of rich mahogany. If you want to class the place up even more, add some fresh flowers. 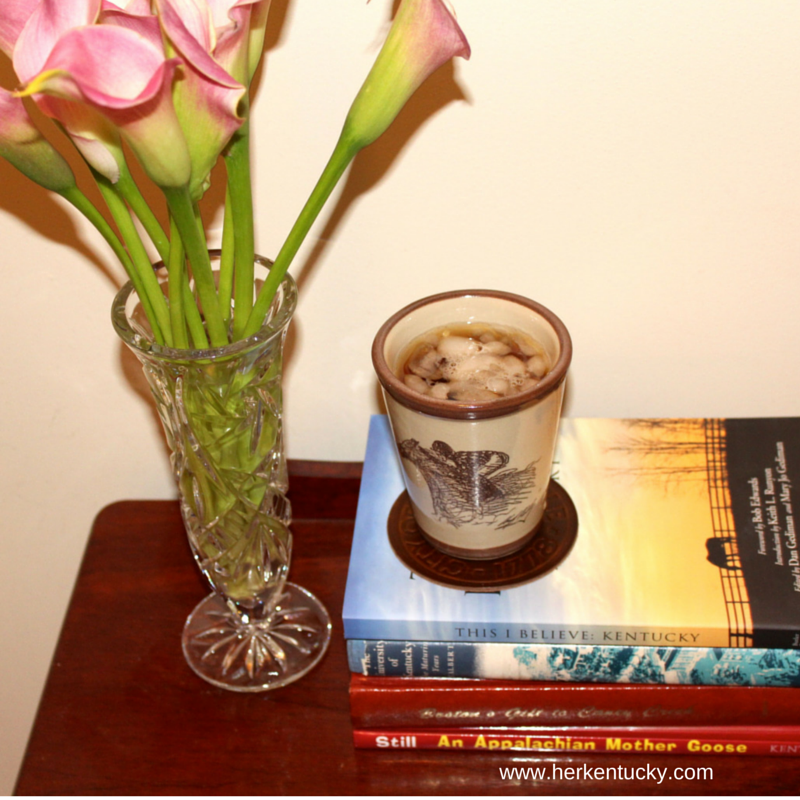 If you want to make your home even more special, enjoy your bourbon and books with locally-made leather goods that celebrate our amazing Commonwealth. I recently received a couple of gorgeous pieces of local leather goods that, if you can believe it, actually do make your bourbon taste better. Well, at least they make your bourbon look better. Bourbon Ware is a Lexington-based company that produces gorgeous, Kentucky-themed leather bar goods. The Lexington Rocks Glass in the Kentucky State Line pattern is a stunning, elegant way to sip a cocktail. I love the blue metallic outline of the Bluegrass State and the warm, snug feel of the leather sleeve. This would be a gorgeous gift for a homesick Kentuckian or for your favorite bourbon collector. Another way to outfit your cocktail in style is with these gorgeous Louisville leather coasters from Clayton & Crume. These are stunning, moisture resistant, and a great way to show your love for the Derby City. Thanks to Bourbon Ware and Clayton & Crume for providing these gorgeous pieces for review!